Hospitality is probably one of the most beautiful words in the English language, especially if you are a Southern Girl. Hospitality smells of fresh brewed coffee on the other side of an unlocked door, where the mat says “Always Welcome”. It reminds me of a time where friends just stopped by to shoot the breeze, and inviting people into our home was a regular occurrence. Women gathered around the kitchen table or in the livingroom, bibles open and snacking on homemade lemon bars. Sweet Tea on the back porch as we prayed over each other. My Great Aunt’s perfumed powder wafting across the nose of every woman she greeted with a hug as they crossed her threshold. Hospitality is what makes us feel welcomed into a space, warm and relaxed… at home. There are some women who are simply PRONE to hospitality, it is their genetic code. They will look for ways to invite people into their home. Quick to volunteer to host a luncheon or meeting. There will always been enough food, and drinks. The bathroom will smell of fresh dried lavender. There will be a chocolate mint on every pillow at the retreat center. She lives to make people feel special, and loved. This woman is important to your Women’s Ministry, this is a role to be on your top priority to fill. Why? Women of influence. Typically if they go to an event, they bring and encourage others to come too. My Pastor’s wife calls them “connectors”. Genuinely are excited to see every woman who enters the room, and make it a point of meeting the new faces. Generous with their homes and time. Quick to organize meals for the sick, new moms, new families, etc. Find joy in the details of their tasks. Have vast amounts of knowledge when it comes to finding locations for events from luncheons to weekend long retreats. Are usually effective event planners, or at least great on event teams. They have an eye for femininity that pragmatic leaders tend to lack, but those attending our events will appreciate. Event Planning Leader/Team – brunches, luncheons, retreats, teas, etc. Meals Ministry Leader/Team – sick, new mom, etc. Welcoming Committee Leader/Team – how do we welcome new women to our church? A note of caution, women who have the gift of hospitality are often creative types. Which means for events like retreats, you may do best to pair them with an A type personality. One is in charge of the schedule, finding the speakers, planning the technical side of the event; the other is responsible for the meals, special touches, speaker gifts, etc. It is important to know your women, their gifts and strengths… as well as their weaknesses. Occasionally you have the blessing of a woman with the gift of hospitality and administration, and she’s the gal whom you can give the whole task and trust she’ll get it done. Women with the gift of hospitality are also typically generous and will have beautiful ideas to make women feel special and welcomed at events. However, these special touches can impact your event budgets. It is important to be clear with your hospitality leader the budget she has for her tasks. I have known many of these women who would be happy to pay out of their own pockets to make up the difference, but I do generally ask them not to. Simply because we need to keep up a budget that all team members present and future can work with. If she supplements her budget, out of pocket, yes the event will be magnificent… but it may be hard for a future leader who replaces her to do the same. Encourage these women to do the best they can within the agreed budget, but don’t be surprised if they “gift” a thing or two over time. In the last year, or so, I have had an opportunity to speak with Women’s Ministry leaders from all over the globe. When asked what was their greatest obstacle to Women’s Ministry, many felt that they didn’t have the support of their Pastor, or the church Elders. In 16 years of serving in ministries, I know that feeling. What surprised me was the number of women who shared this feeling. As I explored the topic more, I realized a few things: this was not denomination specific, geographically specific, or even generationally specific. There was no unifying thread as to why this was so common, I had even found instances where churches with WOMEN as Pastors didn’t support women’s ministry. We needed to dig deeper, because it wasn’t going to be an easy answer. Ultimately… when I got to the root of the issue… the answer was clear. It is our own fault. We did this to ourselves, and we are the ones who can change it. First, we need to address Women’s Ministry from a biblical perspective. It is NOT biblical. There are no instances, anywhere in the scriptures, that outline a FORMAL women’s ministry program in a church. This is a modern invention, to meet a need. Women ARE instructed to teach/guide other women in the scriptures. That IS biblical. Second, we need to address the history of “women’s ministry”. In the early church, we didn’t need a formal program for women’s ministry because ministry among women was apart of their daily life. They worshiped together, fellowshipped together, and served Him together. Christian communities were tight knitted, and their relationship with God was part of their daily lives. As technology made advances, and the agricultural societies diminished, we were pulled away from community and became insulated into our homes. Things we would work on together, were now automated and we could do alone. Things we would have to go out to the community to acquire, are now being delivered to our homes. Women’s Ministry programs were created to fill the void that was a result of this loss of community. Initially they would be prayer groups, bible studies, and community service opportunities. However as women became busier, these ministries also began to include events that were a one time commitments. As Women’s Ministry programs evolved they became a church within a church, often having their own mission/cause. Women’s Ministries separated themselves from the church, and in some cases women were more apt to attend the WM event that was tailored to their interests than Sunday morning services. As a result of this historical shift, a few things happened. We lost focus on our events, they became topics and cultural vs. gospel or Christ centered. We lost focus on our bible studies, opting for book studies that were topical instead of dedicated scriptural study. We lost focus on our purpose in the church, becoming our own entity versus supporting the overall mission of the church. In addition, because of this separation we created a legacy of less than stellar Women’s Ministry Leaders. We have the leader who didn’t get her way, and just left the ministry in a bind… that now the Pastor has to contend with. We have the women’s ministry leader who didn’t get her way, and created division as she tried to rally her troops… and now the Pastor has to contend with it. Or, we have the Women’s Ministry leader who tried to usurp authority over the Pastor to make the ministry what SHE envisioned it to be… either through direct confrontation or subtle subterfuge. Again, creating a mess the Pastor has to deal with in the end. This is not to say that ALL women’s ministry leaders are like this, but I’ve seen it happen. I have known the women who marched in the Pastor’s office demanding to get their way. I have personally experienced the chaos of being in a ministry who’s leader suddenly walks away. I have personally fallen into the trap of a person’s attempt to create division within a ministry, and stunned that I didn’t see what was happening. So, the truth is… and it hurts… that we created this ourselves. It is going to be up to us to fix it. Now, ideally we could just walk into our Pastor’s office for a meeting, tell him that we recognize all of these issues, and we want to rebrand the WM into something new. He may be really excited to hear you say that too, but we also are going to have to be patient. We are on proving grounds, and we need to earn back the trust of our Pastors. Pray for a change in YOUR perspective as leader, changing your heart and the ministry. Humble yourself before the Pastor, and admit that WM needs to change. You may even need to seek his forgiveness if you have been undermining his authority or pushing against him. Ask him how the WM can support the vision of the church, unifying the WM back into the fold and honoring him as the shepherd of your church. When planning WM events, ask yourself how this event fits into the vision of the church. God has given your Pastor a vision for this church, how to lead it, and where it is going. This is not your ministry, it is God’s. Remember that Women’s Ministry should be a blessing to the church. If we are failing to bless the church (aka creating too much drama for the Pastor, or neglecting to support the vision of the church), then what is the point of our ministry? In addition to supporting the vision of the church, we need to be intentionally turning women toward Christ. This is what the Bible commands us to do, as women. Women’s Ministry is merely a vehicle or tool to accomplish this command. We have a responsibility to teach other women, in a local church context. We have a responsibility to reach other women, in a local community context. Women’s Ministry is an amazing evangelistic tool if we are using it correctly. It is a bridge that brings the unchurched into the church. But, we must have a plan from there. When they come to a brunch or fellowship event… How are we connecting them to the church next? How are we moving them toward engaging in a Bible Study or Small Group? How are we connecting them to Christ? God created men and women differently, we complete each other because of where our strengths and weaknesses lay. Men are generally of little words, getting right to the point. Whereas women are gifted in the ability to recognize the importance of details. Men tend to see things factually, black and white. Women are more apt to catch the nuances of the gray areas in between. When we use the gifts together they create a beautiful completion of God’s work in mankind. However, it seems communication is also the area that causes the most trouble for us. As a woman, knowing HOW to speak to your Pastor is going to change everything… and it really isn’t that complicated. Put Your Emotions on the Back Burner. It is imperative that we realize as a ministry leader that when the Pastor says NO… it’s not personal. It is not that he doesn’t think your idea is good, or that you are not capable. It is not a rejection of you, at all. However, this seems to be a boiling point for women. When we are told no, we feel rejected and we get frustrated. If it happens too often, we may quit the ministry. Or, we may stop asking and instead do it anyway; taking the position of it being easier to ask for forgiveness than permission. The other option is that we stay in the ministry and it stagnates because we won’t ask anymore and so we’ll keep doing the same things over and over again…. until the women in the church get bored of it, and then the ministry dies. Recognize it isn’t Just the Women’s Ministry. Your Pastor is accountable for stewarding all of the church resources. This includes time, money, resources, and even the overall church members. He has seen what burnout looks like when volunteers are overworked. He recognizes that everything has a cost. The use of the building means that there is a cost of electricity and water, and an opportunity cost that means another ministry can’t use the space. He also knows about many things that are happening the background, that the church may not be aware of. Your request is being weighed against a lot of factors. Respond appropriately. When you submit a request to the Pastor and he turns it down, don’t hesitate to ask for clarification. Keep in mind that seeking clarification is not the same as whining or trying to petition him to change his mind. What you are looking for is the ability to understand his decision. Ask questions like: Is your NO to the idea or the timing? Chances are his “no” is really “no, not now”. Then you can follow up with questions like: “Can we revisit this in 6 months?” or if the no is because it’s not in the church budget, “Could we fundraise for the project/event?”. Should your Pastor’s no be related to the idea itself you can ask for clarification too. What is it that he has a problem with, would he be willing to reconsider it if you made some changes? There will be times where his no, is a no and it’s not going to change. How you respond to this kind of no, is going to make or break your relationship with your Pastor. If you take the no with stride, and move on.. you are an easy ministry leader to work with. He may give you a lot more leeway in the future. However, if you respond in a way that casts a shadow on him as the Pastor, become divisive, or threaten to quit as leader…that is a different story. Not only are you hurting your own self, but you are damaging the women’s ministry as a whole. 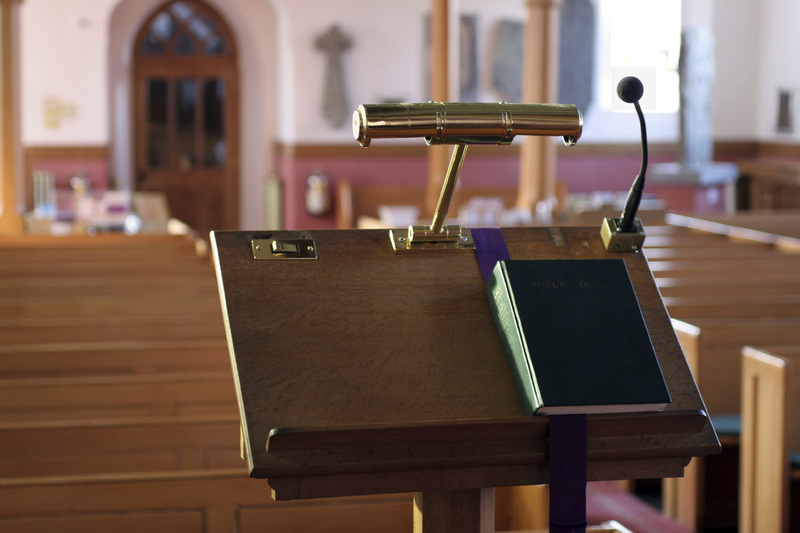 How to Propose Ministry Events to your Pastor, and keep your emotions in check. Most women’s ministries plan events in detail, then they go to the Pastor for permission. This is because our minds work this way, we are trying to sell him the vision. When we pitch an idea to the Pastor, we are already invested in the idea. We think the details (down to decorations) are going to be what reels him in. This is part of the reason why we are so devastated when he turns us down, we are already too invested in the idea. From my years of corporate management, I learned that as a woman I am better off pitching the idea before I become too invested in it. When you are in your Women’s Ministry meeting and someone pitches a great idea, keep it simple. Ask yourself these important questions… Who, What, Where, When, and Why (or what is the Goal). If there is a cost, include the estimated cost and how you plan to cover that (from the budget, sell tickets, etc). Then stop, don’t allow yourself or your team to invest any further time on the subject (unless this is an event that doesn’t require Pastor’s approval). THIS is the information you want to pitch to your Pastor. Don’t worry about the decorations, party favors, and menu. Your Pastor gets so many emails, phone calls, and now text messages. He has a church full of ministries to coordinate and oversee, by giving him the brass tacks you are also respecting his time, and in extension honoring his family time too. Pastor’s are not working a 9-5 schedule, and ministry often impedes into family time. Once you get the approval, now is the time to invest yourself in the details and move forward. If you don’t get the approval, you can ask for some clarification as to why not. Then, you can respond accordingly. Pastor, I think our Women’s Ministry could support the church better. What changes you would you like to see in the Women’s Ministry? How can we support the church’s mission? Then, you can build your ministry changes and rebranding around his answers.